A couple of weeks ago I wrote a post about ALAN’s announcement of the five finalists for the 2012 Amelia Elizabeth Walden Award. As a reminder, the award recognizes a young adult title “selected by the ALAN Amelia Elizabeth Walden Book Award Committee as demonstrating a positive approach to life, widespread teen appeal, and literary merit.” Yesterday morning, ALAN announced the winner of the 2012 Walden Award: Shine by Lauren Myracle. Shine deals with the aftermath of a hate crime: Cat’s openly gay best friend Patrick is left comatose after horrific beating. Cat and Patrick have drifted apart in recent years, but she’s determined to figure out who attacked him. 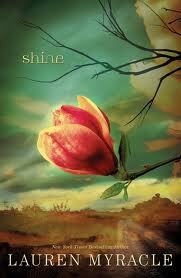 Although the mystery is the novel’s major plot, Shine is much more than a whodunnit. Instead, it’s an exploration of life in a small, tight-knight Southern community plagued by drugs and intolerance and a story about Cat dealing with her own demons as well as those that haunt her town. 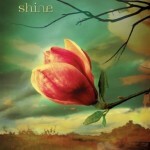 In addition to being the 2012 Walden winner, Shine is a 2012 YALSA Reader’s Choice title in the Realistic Fiction category and a 2012 Top Ten Best Fiction for Young Adults title. Next Post Have E-readers Killed the Bookcover?